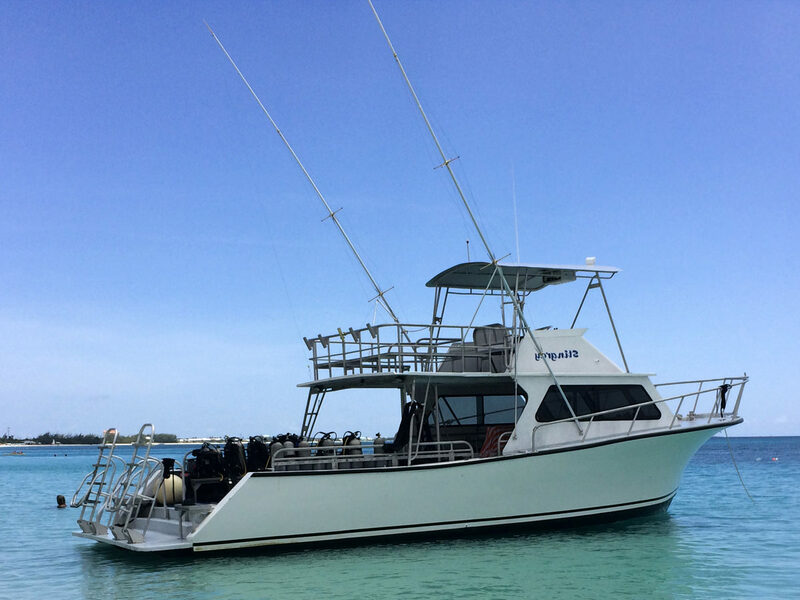 This Newton 42 was custom made for dive, snorkel and even fishing trips. With it's 16' beam, over 500 square feet of floor and deck area, seating for over 40 passengers, ample cabin amenities, rear water level entry, camera table and O2 rack options, fresh water wash downs, and custom tank holders, our guest receive the best of both worlds on this vessel! Diver comfort and safety are the utmost importance in any dive charter operation. Both issues have been properly addressed with our " water level entry"! 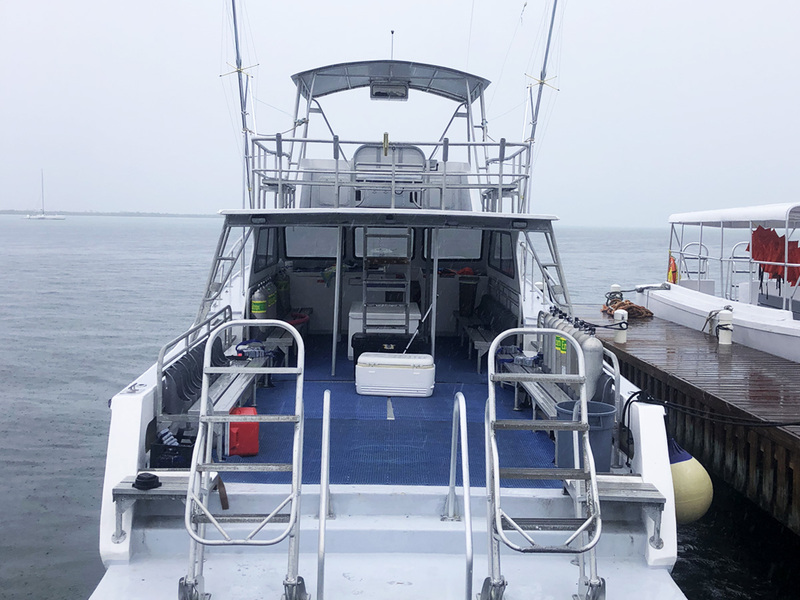 With our open transom design, custom built EZ-fold aluminum ladders and handrails, our guest will appreciate the ease of entering and exiting the water from the spacious double dive platform. You'll appreciate the time savings at each dive site! This 4 hour trip will take you to any of our amazing snorkeling spots in the North Sound Lagoon with its calm, crystal clear waters. Includes: Includes: Captain, mate, all snorkeling gear, food to feed the stingrays, soft drinks and iced water. 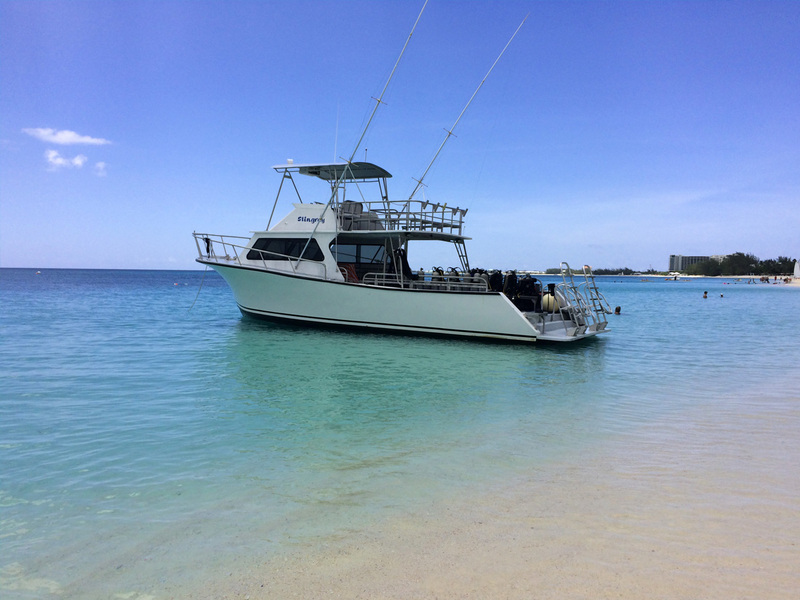 This trip is a 4 hour Deep Sea Fishing Trip were we target the main fish species that are abundant around Grand Cayman; Marlin, Dolphin Fish, Tuna, Barracuda and Wahoo. Fishing starts only a half mile from shore already since the Cayman waters are extremely deep close to shore. Max guest for this trip is 10 anglers. This approx. 8 hour trip will take you to any of our amazing snorkeling spots around the North Sound Lagoon with its crystal clear waters. Includes: Captain, mate, all snorkeling gear, food to feed the stingrays, soft drinks and iced water. This trip is a 8 hour Deep Sea Fishing Trip were we target the main fish species that are abundant around Grand Cayman; Marlin, Dolphin Fish, Tuna, Barracuda and Wahoo. Fishing starts only a half mile from shore already since the Cayman waters are extremely deep close to shore. Max guest for this trip is 10 anglers.